For the similarly named South African unit, see 2 Parachute Battalion. 2 PARA is an airborne light infantry unit capable of a wide range of operational tasks, based at Merville Barracks, Colchester Garrison, England. Personnel regularly deploy outside the United Kingdom on operations and training. The 2nd Battalion was formed on 30 September 1941, as the 2nd Parachute Battalion, and later became part of the Army Air Corps. The battalion took part in its first active operation over the night of 27–28 February 1942, Operation Biting, the raid on Bruneval in France. On 1 August of the same year, the battalion was renamed the 2nd Battalion, the Parachute Regiment. Operation Biting, also known as the Bruneval Raid, was a British Combined Operations raid on a German coastal radar installation at Bruneval in northern France during the Second World War, on the night of 27–28 February 1942. The British airborne operations in North Africa were conducted by British paratroopers of the 1st Parachute Brigade, commanded by Brigadier Edwin Flavell, as part of the Tunisian Campaign of World War II, over the period between November 1942 and April 1943. 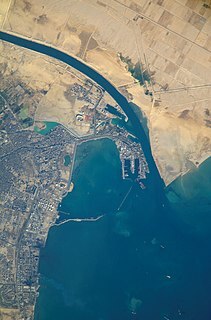 The Suez Canal is a sea-level waterway in Egypt, connecting the Mediterranean Sea to the Red Sea through the Isthmus of Suez. Constructed by the Suez Canal Company between 1859 and 1869, it was officially opened on 17 November 1869. The canal offers watercraft a more direct route between the North Atlantic and northern Indian Oceans via the Mediterranean and Red Seas, thus avoiding the South Atlantic and southern Indian Oceans and thereby reducing the journey distance by approximately 6,000 kilometres (3,700 mi). It extends from the northern terminus of Port Said to the southern terminus of Port Tewfik at the city of Suez. Its length is 193.30 km (120.11 mi), including its northern and southern access channels. In 2012, 17,225 vessels traversed the canal. 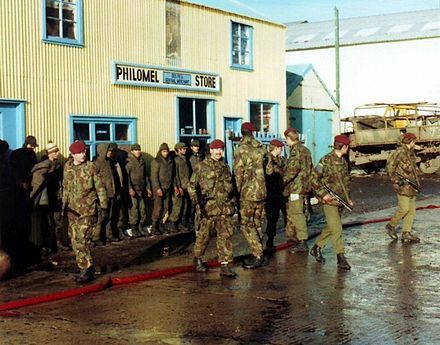 2 PARA guarding Argentine prisoners of war at Port Stanley in 1982. 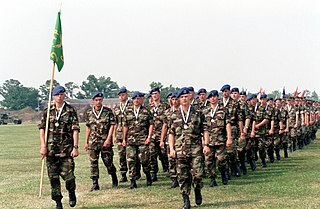 In August 2001, the battalion was part of the NATO Operation Essential Harvest in Macedonia. This was followed in 2002 by Operation Fingal, in Afghanistan. The battalion also took part in UK operations in Iraq and Afghanistan. 16 Air Assault Brigade is a formation of the British Army based in Colchester in the county of Essex. It is the Army's rapid response airborne formation and is the only brigade in the British Army capable of delivering Air Manoeuvre, Air Assault and Airborne operations. The Pathfinders is a pathfinder unit of the British Army, and an integral part of 16 Air Assault Brigade. The Pathfinder Platoon acts as the brigade's advance force and reconnaissance force. Its role includes locating and marking drop zones and helicopter landing zones for air landing operations. Once the main force has landed, the platoon provides tactical intelligence and offensive action roles for the brigade. The 10th Parachute Brigade, commonly known as 10 Para, is an elite airborne brigade-sized unit within the Malaysian Army tasked with being rapidly deployed inside or outside the boundaries of Malaysia. 10 Para is the key element of the Rapid Deployment Force. The 4th Battalion, Parachute Regiment, is an Army Reserve unit of the British Army and is based across the United Kingdom. Originally the Battalion covered the North of England, with its headquarters located in Pudsey, West Yorkshire. 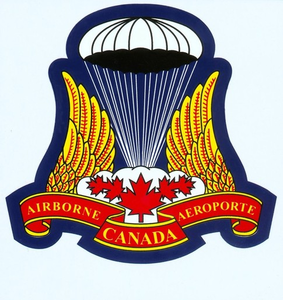 Following the Options for Change review in 1993, 4 PARA amalgamated with the 15th (Scottish) Battalion of the Parachute Regiment, which was downsized and became 15 (Scottish) Company of 4 PARA. As part of further changes in 1999, the Battalion also merged with the 10th (Volunteer) Battalion which then became 10 (London) Company. 9 Parachute Squadron RE, is an airborne detachment of the Royal Engineers, part of the British Army. Like other units comprising the Royal Engineers, soldiers in the squadron are called sappers. It is part of the 23 Parachute Engineer Regiment based at Rock Barracks the airborne Royal Engineers unit. The Parachute Regiment and Airborne Forces Museum is based at Duxford in Cambridgeshire and tells the story of the Parachute Regiment and other airborne forces. The 1st Battalion, Parachute Regiment, along with various other regiments and corps from across the British Armed Forces, forms the United Kingdom's Special Forces Support Group (SFSG). The 6th Parachute Battalion was an airborne infantry battalion of the Parachute Regiment raised by the British Army during the Second World War. ↑ Bishop 2009, p. 102. ↑ "ParaData roll call: Lieutenant-Colonel Oliver Kingsbury, OBE". Archived from the original on 8 July 2015. Retrieved 7 July 2015. ↑ see Miller, George (1975). The Bruneval Raid. New York: Doubleday & Company, Inc. ISBN 0-385-09542-2. ↑ "Battle of Arnhem". Ministry of Defence. Archived from the original on 13 March 2008. ↑ Ferguson, Gregor; Lyles, Kevin (1984). The Paras 1940-1984: British airborne forces 1940-1984. Altrincham: Osprey Publishing. ISBN 0-85045-573-1. ↑ "Paras in the Canal Zone". Britains-smallwars.com. 11 December 1951. Archived from the original on 29 October 2013. Retrieved 25 October 2013. ↑ "Suez (Operation Musketeer)". ParaData. Retrieved 2013-10-25. ↑ "Persian Gulf". ParaData. Retrieved 2013-10-25. ↑ "Borneo". ParaData. Retrieved 2013-10-25. ↑ "Anguilla (Operation Sheepskin)". ParaData. Retrieved 2013-10-25. ↑ "Paras in Northern Ireland". Britains-smallwars.com. Archived from the original on 4 October 2013. Retrieved 25 October 2013. 1 2 see Smith, Gordon (2006). A Battle Atlas of the Falklands War 1982 by Land, Sea and Air. Lulu.com. ISBN 978-1-84753-950-2. ↑ see Clapp, Michael; Southby-Tailyour, Ewen (1996). Amphibious Assault Falklands: The Battle of San Carlos Water. Naval Institute Press. ISBN 978-1-55750-028-1. ↑ see Fitz-Gibbon, Spencer (1995). Not Mentioned in Despatches: The History and Mythology of the Battle of Goose Green. James Clarke & Co. ISBN 978-0-7188-3016-8. ↑ "[ARCHIVED CONTENT] ISAF: Photo Gallery - on patrol and at HQ". Operations.mod.uk. Archived from the original on 26 August 2009. Retrieved 25 October 2013. ↑ "First Troops Deployed in Operation Temperer". Warfare.Today. Retrieved 2017-05-27. Bishop, P (2009). Ground Truth. UK: HarperPress. ISBN 978-0-00-729665-1. Wikimedia Commons has media related to 2nd Battalion, Parachute Regiment . "2 PARA commanding officer's website". Archived from the original on 23 October 2009. Retrieved 7 August 2008.